Ken Yuszkus/Staff photo. 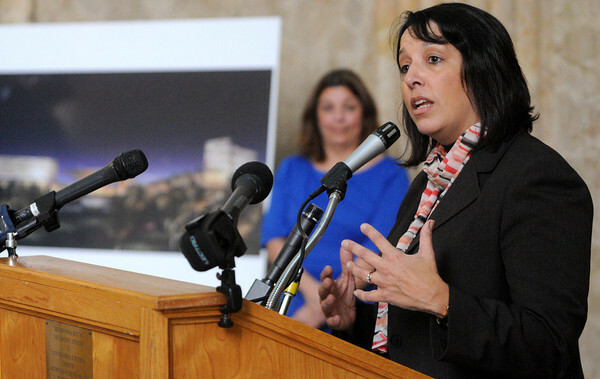 Salem Mayor Kim Driscoll speaks about the development of a casino in Revere at the press conference at Lynn City Hall. In the background is Lynn Mayor Judith Flanagan Kennedy.